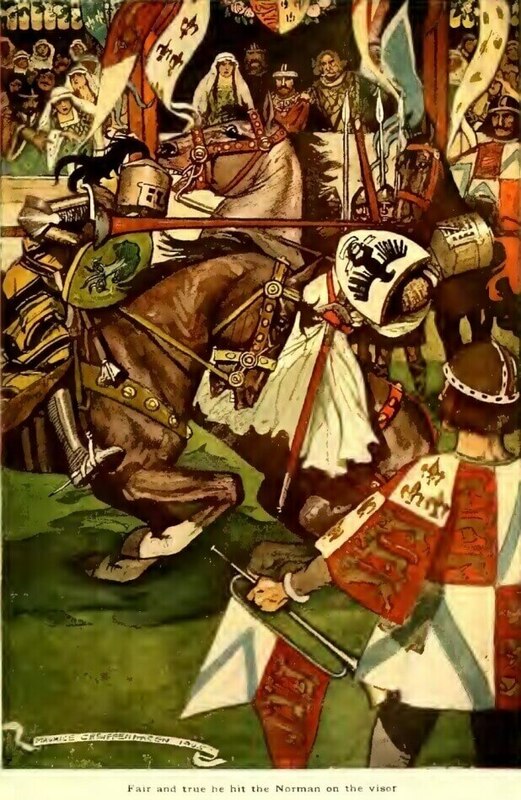 Ivanhoe: A Romance is a story of one of the few remaining Anglo-Saxon noble families during the rise of the Normans, set in 1194 after the Third Crusade. 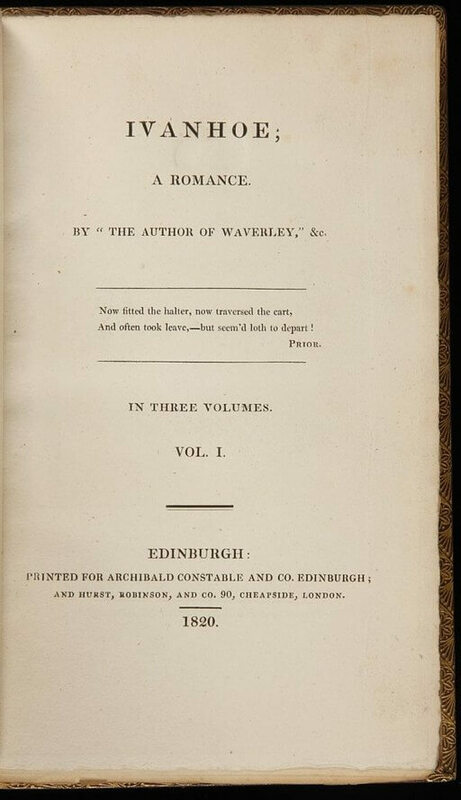 It was published in 1820 as three volumes. Scott embraced a more fanciful depiction of Medieval England in this novel than many of his prior historical accounts of life in Scotland.